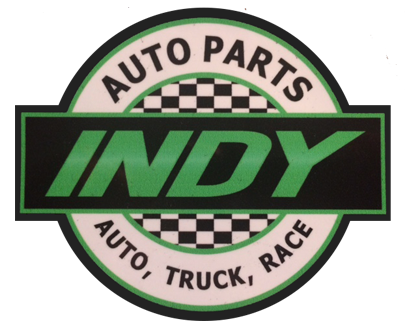 Indy-autoparts.com (this “Site”) is owned by Indy Auto Parts, Inc (“We”, “Us” or “Indy Auto Parts, Inc”). We are providing you with access to this Site and our online store (together, our “Services”) subject to the following terms and conditions. By browsing, accessing, using, registering for or purchasing merchandise on this Site or otherwise using our Services, you are agreeing to all of the following terms and conditions, including any policies referred to herein (collectively, these “Terms”). We reserve the right to change this Site and these Terms at any time. If you are unwilling to be bound by these Terms‚ do not browse, access‚ use‚ register for or purchase merchandise from the Site. In order to complete commercial transactions on the Site‚ you may be required to register an account with a user name and password. If you register‚ you agree to provide Us with accurate and complete registration information and to inform us immediately of any updates or other changes to such information. You are solely responsible for protecting the security and confidentiality of the password and identification assigned to you. You shall immediately notify Us of any unauthorized use of your password or identification or any other breach or threatened breach of this Site&apos;s security. Each time you use a password or identification, you will be deemed to be authorized to access and use the Site in a manner consistent with these Terms, and We have no obligation to investigate the authorization or source of any such access or use of this Site. YOU WILL BE SOLELY RESPONSIBLE FOR ALL ACCESS TO AND USE OF THIS SITE BY ANYONE USING THE PASSWORD AND IDENTIFICATION ORIGINALLY SELECTED BY, OR ASSIGNED TO, YOU WHETHER OR NOT SUCH ACCESS TO AND USE OF THIS SITE IS ACTUALLY AUTHORIZED BY YOU, INCLUDING WITHOUT LIMITATION, ALL COMMUNICATIONS AND TRANSMISSIONS AND ALL OBLIGATIONS (INCLUDING WITHOUT LIMITATION FINANCIAL OBLIGATIONS) INCURRED THROUGH SUCH ACCESS OR USE. When you use this Site, or send e-mails to Us, you are communicating with Us electronically. You consent to receive communications from Us electronically. We will communicate with you by e-mail or by posting notices on this Site or through our other services. You agree that all agreements, notices, disclosures and other communication that We provide to you electronically satisfy any legal requirements that such communications be in writing. You agree that all of your transactions with or through this Site may, at the discretion of Indy Auto Parts, Inc, be conducted electronically from start to finish. If We decide to proceed non-electronically, those transactions will still be governed by the remainder of these Terms unless you enter into different terms provided by us. You are responsible to print or make an electronic a copy of these Terms and any other contract or disclosure that we are required to provide to you. To the fullest extent permitted by applicable law, you agree to defend, indemnify and hold harmless Us and our subsidiaries and affiliates, and our respective officers, directors, agents, partners, members, employees, independent contractors, service providers and consultants ("Our Related Parties"), from and against any claims, damages, costs, liabilities and expenses (collectively, "Claims") arising out of or related to (a) your access to and use or misuse of this Site; (b) any User Content you post, upload, use, distribute, store or otherwise transmit on or through this Site; (c) any Feedback that you provide; (d) your violation of these Terms; and (e) your violation of any rights of another. You agree to promptly notify Us of any third-party Claims, cooperate with Us in defending such Claims and pay all fees, costs and expenses associated with defending such Claims (including but not limited to attorneys&apos; fees). You further agree that the We shall have the right to control of the defense or settlement of any third-party Claims. You agree that our remedy at law for any actual or threatened breach of these Terms would be inadequate and that we shall be entitled to specific performance or injunctive relief, or both, in addition to any damages that we may be legally entitled to recover, together with reasonable expenses of any form of dispute resolution, including, without limitation, attorneys&apos; fees. No right or remedy of ours shall be exclusive of any other, whether at law or in equity, including without limitation damages injunctive relief, attorneys&apos; fees and expenses. If any these provisions shall be deemed invalid, void, or for any reason unenforceable, that condition shall not affect the validity and enforceability of any remaining provision.